Get ready for bigger and better weddings! 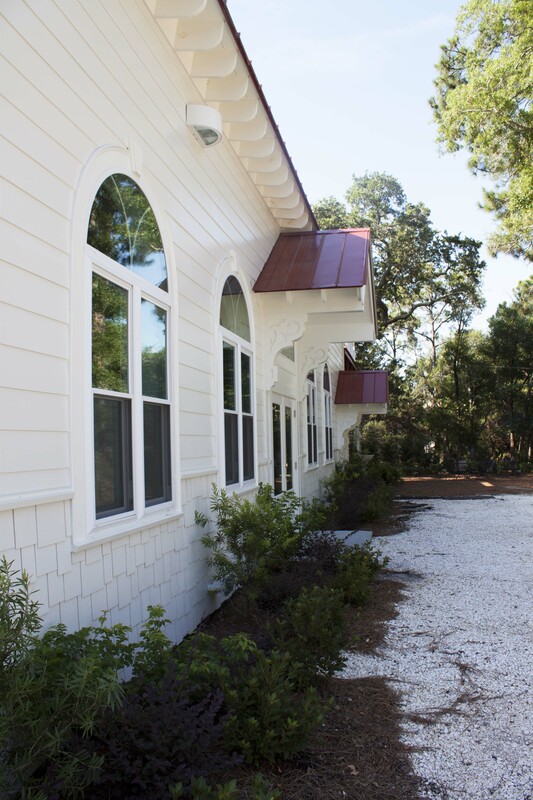 The Tybee Island Wedding Chapel, a beautiful wedding destination just 20 minutes away from Savannah, finished renovations of their grand ballroom and is ready for more guests to enjoy the extra space. The new ballroom creates an additional 2,800 square feet of space for couples to use for receptions. 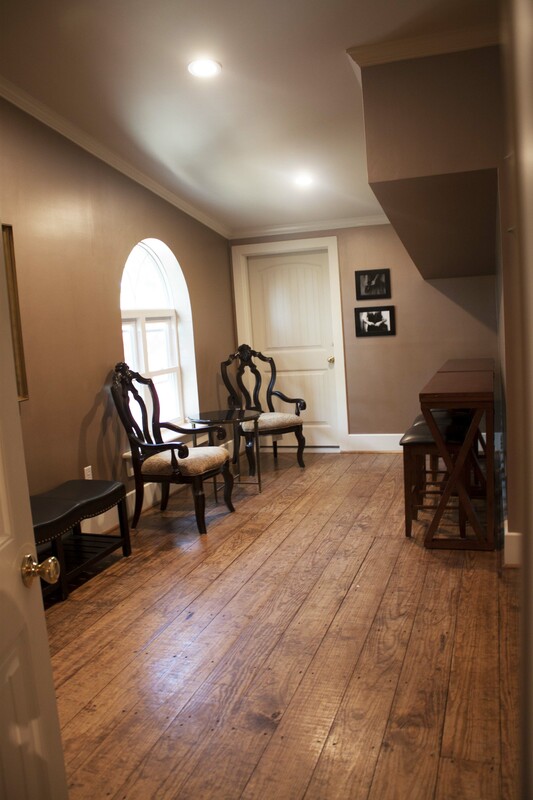 The construction, which began on November 11, 2013 was quite a project for the chapel. “Nobody really knew what we were getting into when we initially started,” said Ray Anaya, the Director of Events. The outdoor view of the newly renovated ballroom at the Tybee Island Wedding Chapel. They enclosed the space, which was originally used for parking, and created a ballroom so guests could have dinner downstairs after the wedding, while the event staff quickly converted the wedding sanctuary into a dance floor and set up the band. “We eventually got it down to where it only took two of us about 12 minutes to convert the entire space,” said Anaya. They have used the lower space for formal and casual dining and celebrated with dancing and the cake cutting upstairs. But they are certainly open to other plans. 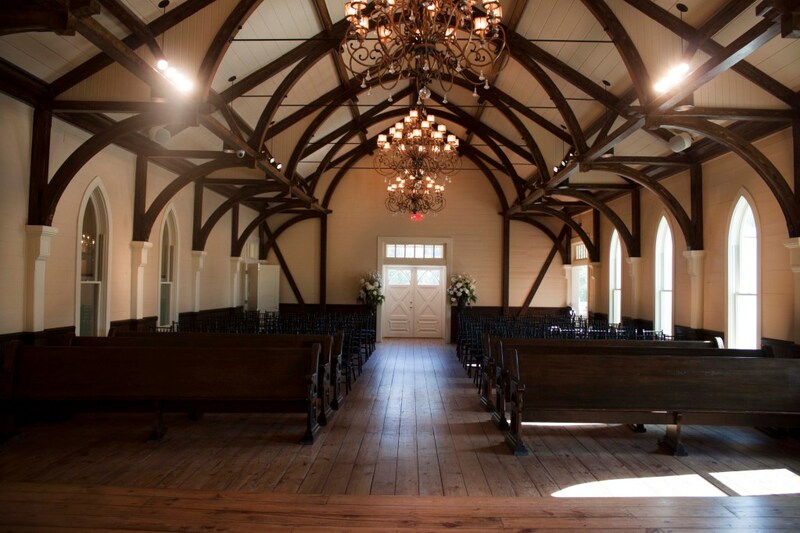 There have been all kinds of weddings in the chapel, from traditional to modern with a twist and with this ballroom, which houses over ten chandeliers, guests now have more room to celebrate. 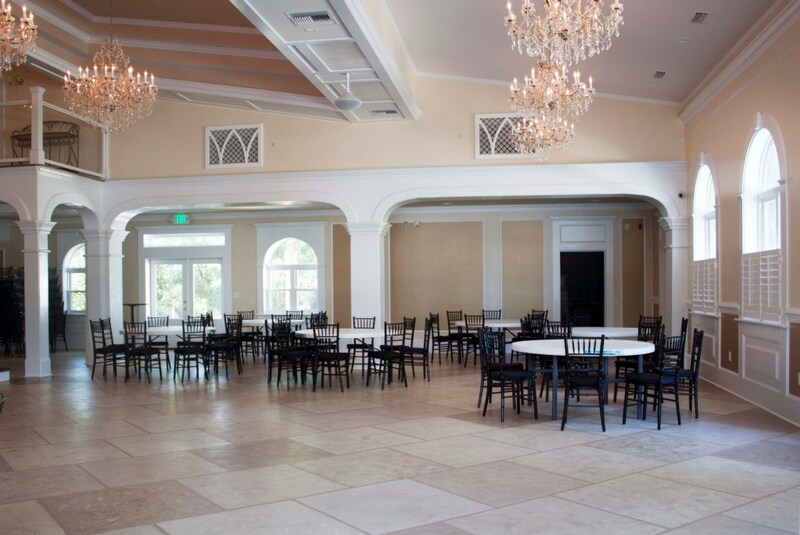 In addition to these two grand rooms, there is also a cocktail lounge that opens up to the ballroom as well as an outdoor space for guests to enjoy. 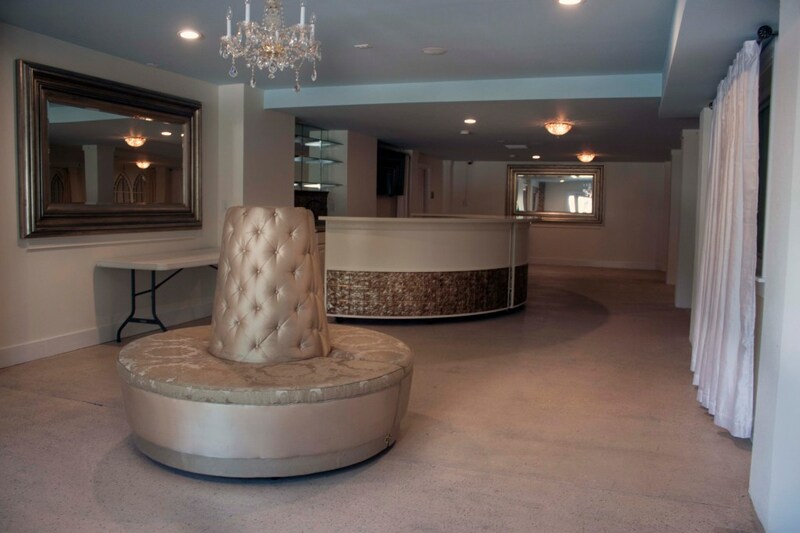 The cocktail lounge (pictured below) even features a custom Setee and 12-foot bar. 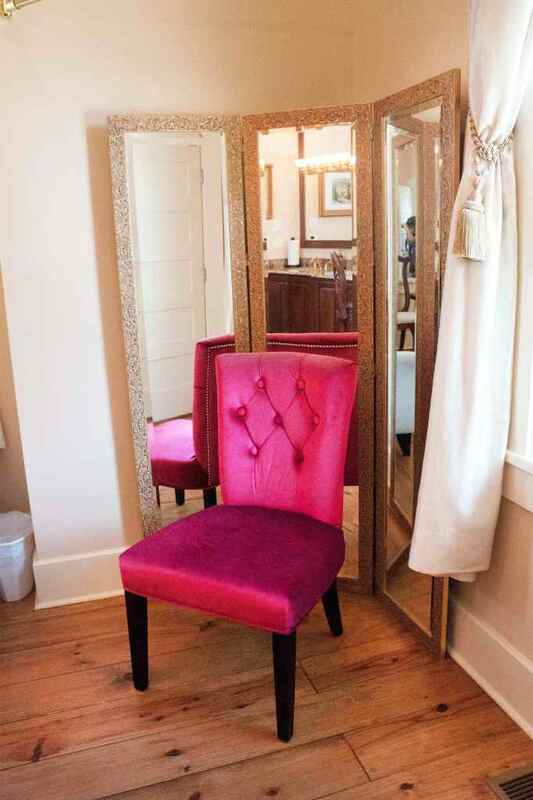 There are several other accommodations that the Tybee Island Wedding Chapel has for it’s special guests, including a beautiful bridal suite with tall ceilings and plenty of mirrors, and a grooms quarters which is has a second door that opens to the balcony that overlooks the Grand Ballroom. The Tybee Island Wedding Chapel, which is owned by Stacye and Lannie Jarrell, was designed after a 1908 Baptist church and built for the hit-movie The Last Song, which stars Miley Cyrus. The church burned down and after a year of rebuilding it opened as wedding chapel. They’re not just trying to create the perfect wedding for couples; they want to build a legacy. “We want this to be a place parents can bring their kids and go, ‘this is where mommy and daddy got married,’ and their kids want to get married here,” said Anaya. Anaya has been with the business since they started. He worked with Stacy Jarrell in her first business, Oceanfront Cottage Rentals, before she opened the chapel. Anaya volunteered to help her when she announced that she was looking for someone to run and manage the chapel. 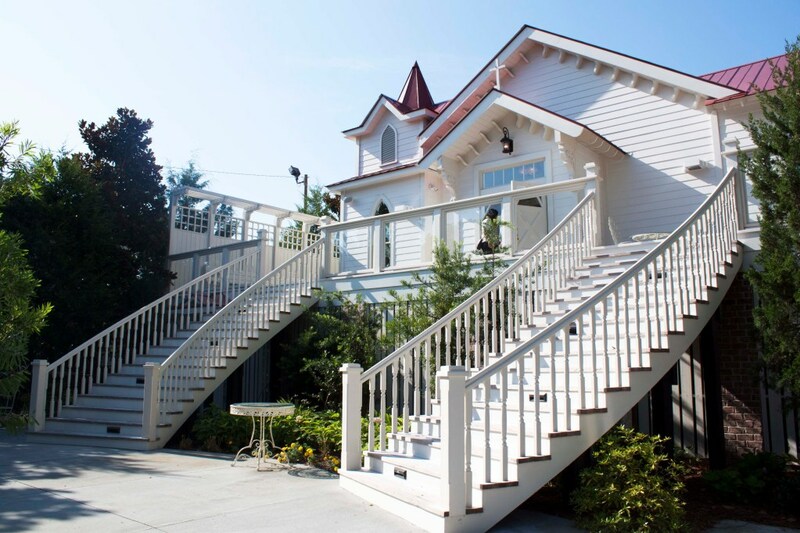 The Tybee Island Wedding Chapel is located at 1114 U.S. 80 on Tybee Island. For more information about the chapel, call (800) 786-5889 or go to their website. And for more information about destination Weddings in Savannah and on Tybee Island, go to our wedding page.